A Snickers bar can save you money. Not just a little money either. Used correctly, it could potentially spare you thousands of dollars. That's the gist of new research on a phenomenon called “decision fatigue”. Decision fatigue is what happens to people when they've made too many choices. As your brain gets tired, you become worse at making decisions. Decision fatigue helps explain why ordinarily sensible people get angry at colleagues and families, splurge on clothes, buy junk food at the supermarket and can't resist the dealer's offer to rustproof their new car. No matter how rational and high-minded you try to be, you can't make decision after decision without paying a biological price. It's different from ordinary physical fatigue — you're not consciously aware of being tired — but you're low on mental energy. The more choices you make throughout the day, the harder each one becomes for your brain, and eventually it looks for shortcuts, usually in either of two very different ways. One shortcut is to become reckless: to act impulsively instead of expending the energy to first think through the consequences. (Sure, tweet that photo! What could go wrong?) The other shortcut is the ultimate energy saver: do nothing. Instead of agonizing over decisions, avoid any choice. Ducking a decision often creates bigger problems in the long run, but for the moment, it eases the mental strain. If you've ever paid attention to your shopping habits, you're probably familiar with decision fatigue, even if you didn't know it had a name. It's the reason my family has a hard and fast rule to never go to the grocery store hungry. I have to believe it's decision fatigue that fuels shopping momentum, that pesky tendency to keep spending money once you've started. It's certainly decision fatigue that fuels impulse buys in the checkout aisle and causes people to wave their hands over the details of wedding planning. Researchers are finding that willpower really is an expendable resource. Some people have more or less of it. It's possible to strengthen our ability to resist impulsiveness and bad choices. But no one can make the same quality of decisions all the time. We wear ourselves down by using our willpower, and become prone to poor choices until we replenish our strength. This is a phenomenon that affects the poor more than the affluent. Because they have fewer resources, those who are strapped for cash must more constantly be weighing the pros and cons of even very small decisions. It might be trivial for one person to spend ten dollars for a lunch out with coworkers. For another, that ten dollars could make or break his week's grocery budget. The poorer person will exhaust his willpower faster because every spending decision comes with a high energy cost due to how stressful it is. Decision fatigue is especially hard on the poor, but it's not just a poor person's problem. Rich or poor, smart or dumb, young or old, decision fatigue will catch up with you if you tax your brain heavily enough. Now about that Snickers bar I mentioned in the opening. Decision fatigue is a biological process that affects our ability to think rationally and make good decisions. And it has a surprising cure: a quick shot of glucose. So if you've exhausted your reserves of willpower negotiating with your car salesman or real estate agent or wedding planner, and you're being called on to make the final decisions, it's a great time to indulge in a candy bar. The sugary treat will flood your brain with glucose in minutes, enabling you to make decisions with a fresh base of willpower to work from. Of course, an even better strategy is to eat well before you're called on to make a series of complex decisions. Protein rich foods will give you longer-lasting boosts to the glucose levels in your brain. But, as the NYT article warns, decision fatigue doesn't have a clear warning sign like hunger or physical exhaustion. You can't always tells when your ability to make good choices is deteriorating. Given that, I think I'll keep a candy bar in my pocket next time I have to make a complicated, major purchase like buying a car. It can't hurt, and it might help. This is all simple good advice. Probably you learned most of it from your mother. If you didn't, you figured it out through trial and error in young adulthood. What makes this so compelling is the science behind it. You're not wrong when you feel like your brain is turning to mush after a long day and you just can't think straight. Well, you're wrong about the mush part, but there really is a biological change that stops you from thinking as clearly as you do when you start your day. While common sense shows us many good strategies to avoid decision fatigue, I really would not have guessed that a milkshake or candy bar could act as a kind of band-aid to deal with it once it sets in. As a mom, I know how important it is to carry snacks for little ones to stave off meltdowns when they start to get hungry. Now I'll be carrying some for myself as well. Have you encountered decision fatigue in your life? What strategies do you use to combat it? There are 85 reader responses to "Decision Fatigue: Why Willpower Isn’t Always Enough". Wow, great article, fascinating insights. I’d never really thought about this issue before, but I’ll keep it in mind the next time I’m feeling frustrated or exhausted while making big decisions. I think it also helps when you won’t buy something on the spot unless it meets a prearranged criteria. For example, if you’re looking at your fourth used car for the day, that’s also your twentieth for the week, you may be getting to the point where you just want to be done with it and make a decision. But if you have a list of criteria it has to meet, you’re less likely to make a bad decision in the moment. It lets you walk away and consider it fresh later on. Grab a snickers? Somebody’s been watching too many advertisements. Try eating an apple and peanut butter or other, healthier ‘real’ food for a shot of glucose. I think the point of grabbing a Snickers is to allow yourself a small impulse buy – something that you don’t think about or make a decision. Just do it. Going to grab that apple and peanut butter is a conscious decision, which is essentially what they’re saying to avoid from time to time. You want to give your brain a little of a break from making decisions, so that when you need to make an important decision, you’re more level-headed. It doesn’t have to be a Snickers, persay. Any small impulse suffices. It’s pretty clear the snickers is for the sugar rush. Yes, I know. I read part of the article and went down to the comment section before I returned to read the rest of the article. There’s no option to delete a comment once it’s approved. I’ve responded below to someone else who has already pointed that out. I was wondering how fast this would crop up. Ugh. You win! Did you miss the part a few sentences later where she said healthy eating would be better in the long run? Candy bars are widely available and refined sugars with no fiber will spike your blood sugar faster than an apple. Yes it will spike your sugar faster but why buy overpriced industrial products when a packet of sugar will kick harder & cost trillions less. Buying snickers is how to get poor slowly. Ah, you’re right! Oops! Sorry about that. =] I got halfway through and decided to check out the comment section – and of course missed the point about the candy bar. My mistake! My suggestion, as a sort of compromise between healthy eating and sugar-fast, is maple or brown sugars. The sugar is still basically a glucose injection, but it’s a bit less processed. My brother, who lives in Beijing, told me that one after explaining a bit of what he’d picked up from people who believed in the principles of Chinese medicine. If I just want plain sweet, I use stevia to flavour tea, etc. When it comes to decision making, I find a few whole grain crackers works better for me. Sugar and caffeine just make me anxious. If you like flavor, you can get cheap hard candy. There’s your glucose kick. Stevia unfortunately does not have glucose to give your brain a swift sugar rush. Well, a cup of herbal tea sweetened with stevia isn’t what I go for when I need a snack, but it is something that helps curve the sweet craving. When I’m hungry and can’t think, I usually go for a piece of fruit. The natural sugars are balanced by the fiber, which means it’s better for blood sugar levels — plus it’s lower in calories and fat. Brown sugar is actually white sugar that has the molasses added back in after processing. Therefore, it isn’t any better than white sugar. Geez, it only took 3 comments for the GRS curmudgeons to come out. I learned from my grandparents when I was growing up to limit my choices in the beginning so making a decision was easier. That’s carried over to later in life. My wife wants a newer car. It will be a VW Jetta. We just have to decide on the color. Easy! Another good way to prevent decision fatigue is to go shopping with a list. Know what you’re going to get and stick to it. Or set a specific spending limit on yourself before you go shopping, that way you’ve made your decisions before hand when you can think more rationally. This is what I teach in my Celebrating Financial Freedom courses. Using this method might save you more than a few calories too! That strategy works very well for me, whether it’s clothing, food or other items. I find it easier to make decisions before I go to the store (often by researching online). This explains why traveling is exhausting. When you’re traveling, especially abroad, you typically have to make many more conscious decisions, including about immediate needs, than when you’re at home (where you can do a lot unconsciously, by habit). It also explains part of why holidays and family gatherings, while supposedly happy occasions, are taxing. The simple question of “Whose car should we take?” can become a nightmare. I completely agree. My family thinks that I over plan (so mostly I just don’t tell them HOW prepared I am), but if all the contingency plans are in place before I leave I can actually relax. Call me crazy, but I want to know where the GOOD laundromat is, and not end up paying $20 to have the hotel clean my pants! In my family, I’m the planner for trips for the same reason – so I can relax. My good friend does it, too, and I absolutely can’t travel with her – she drives me nuts with overplanning. So either I can dish it out but can’t take it (kinda likely) or some people really take it to extremes. A nice thing about modern technology is having access to info wherever we are. This helps keep the overplanning down, for me. I read once where someone talked about being “hangry” whilst traveling, especially with a companion, and how that can effect the relationship and the joy of traveling. This gets towards that, too. (hangry = angry because of hunger). My girlfriend and I live in Korea, and have traveled a lot, and we make sure to eat something when one of us is hungry–it makes our interactions (read: decision-making process) much better. So yes, eat when you’re hungry! Give your brain the fuel it needs! Decision fatigue is very interesting. I have low blood sugar and I’m supposed to eat protein all day long; as you said, it sustains you longer. All that said, you’re right about the fact you don’t know if your ability to make good decisions has deteriorated. So, here’s my suggestion that has worked well for me for over 31 years. Just like they say, only go to the grocery store with a list and stick to it. (Hopefully you’ve made the list BEFORE you’ve depleted your good decision making ability.) To me a budget is the same thing as a list. Make a budget based on your income, so you won’t budget for things you cannot afford. Think of it as what you GET to spend your money on. The decisions have already been made and since you’ve refined your budget over time, hopefully you’ve been in a good decision-making state MOST, if not ALL of those times. Now, there are no decisions left when it comes to spending money. Love this article, very well written. I am a new mom and know that decision fatigue is something I can’t handle right now. If choices can be put off, I avoid them. Maybe don’t keep a snickers in your pocket, if only because it will be all melty and gross by the time you need it for helping aid decision-making. By the logic of the article, glucose coupled with something that feels like a treat, that feels like “giving in” or not using willpower to resist a tastier option, might actually be a better boost to willpower than glucose that requires willpower to resist a tastier glucose. In choosing between an apple and a candy bar for helping your decision-making, the candy would work better, according to the article’s logic. Still, I recommend against keeping something so perishable with you for decision-emergencies. Glucose is fine all right for fast replenishing of energy. But candy bar is not. Why? The length of it (1,5h) can scare, but it’s something that every USA citizen should listen to. I’m from Poland and I’m glad I had the chance to listen to this. I’m not sure I’d agree with the Snickers sugar boost idea – I agree that shopping/making decisions about anything while having low blood sugar levels could be bad (and I don’t shop for food while hungry) but I could imagine making equally bad decisions while on a sugar high, as would happen if I had a sudden hit of sugar. I suspect I’d be more likely to go for the fun/silly option then because I would already be in a somewhat giddy/carefree mood. But I do think the idea of decision fatigue is important. At an anecdotal level, my boyfriend and I have on numerous occasions spent months and months looking for certain things then got bored of the endless searching and splashed out on something more expensive that we’ve originally budgeted for, just for the tedious searching to be over. I’m torn – I like being careful about spending on little things because I know how quickly those “little things” can add up to big money, but now I’m wondering if stressing about the little things is making me more prone to not paying as much attention to the big things — and that might end up costing us more in the long run. Food for thought – thanks for such a thoughtprovoking article. I can totally tell when my decision-making machine is depleted. I say things like “aaaaaaaghhhh!!! !” and “leave me alooooone! !” or “i don’t wanna hear any of it about it right now.” People get a feeling of being overwhelmed– just listen to the damn thing. Solutions: why eat nasty candy when you can take a nap? I know it goes against the Almighty Puritan ethic, but hell, I was raised in the 3rd world, and after a nice nap I’m refreshed and ready to decide on the fate of the universe with no headaches. In a perfect world, all offices should feature beds, hammocks, couches, quiet rooms. I’m lucky to work at home so I can snooze shamelessly whenever life calls for a break. Sitting at a desk all day trying to look busy for the bossman is the #1 cause of dumb actions. Also, Hulu and youtube are a great source of spacer-outers. Let your subconscious work on that decision for a while while you laugh at cat videos. And walks, yes, they are great too. Gotta get off that chair & move a little, get some vitamin D under the sun, and breathe fresh car exhaust– the one that pools indoors goes stale and loses vitamin power. Seriously, people need more breaks videos between bouts of intense work. You can’t constantly flog your mind and not expected to bleed a little. The Pomodoro technique works for me. And it’s free, the book is a free download, etc. Agreed. A nap is my number one cure all for what ails you. A quick walk is also good for bringing back equilibrium – but given a choice, a nap always wins out for me. Of course. Laziness is godliness. A clear mind is a wonderful thing to profit from. Unfortunately, decision fatigue often hits when one can’t take a nap or a walk. I’m having to buy a bunch of basic things as we moved internationally. When you’re trying to decide about towels, dishwashing detergent, furniture, new food, and who knows what else all at the same time, it’s unbelievably exhausting and there’s no escaping it. Next time – lingonberries at the Ikea! Know what’s really important to you. And ask yourself, when making a choice, is it fabulous? In other words, is this something you really want or is it something you’re choosing because you’re too tired to think clearly? Also, I’d advocate a banana over a Snickers bar to boost your brain power! My productivity goes /way/ up if I decide ahead of time that I’m going to work on project X on Mon-Tue, and project Y on Wed-Fri, for example. Probably because I don’t waste energy first thing every morning, deciding on my schedule for the day. Great idea. By limiting choices when choice isn’t all that important, you’ll have more energy for the important decisions. Great article! This happens to me almost daily – when it’s time for me to go to bed, there’s always something fun I want to do instead like read, play games, or watch TV. Sometimes I stay up and (try to) do the fun thing, but since I’m so mentally spent, I don’t actually derive much enjoyment, which makes it a double-poor decision. My strategy to combat it is simply to be aware that I may not be able to rely on my willpower, and hope that logic will suffice. For example, whenever I’m faced with a decision that I have to think about, a mental trigger asks not “what do I want”, but “what is best for me” (or whomever the subject is of the decision). It’s not fail-proof, but the last several nights I’ve actually gone to bed earlier than usual. This is why I like shopping at smaller grocery stores, or stores like Trader Joe’s that have a limited number of options for each product. It’s really really tiring to decide 30 times “Which one should I buy?” when there are 15 options for each product. When I buy jeans I go to a general clothing store, not a “jean store” with its thousands of choices… I can’t handle all the choices. I like you, shop at the smaller grocery stores. I also really HATE car shopping (so sold the car, and didn’t buy a new one, lol) way – WAY – to many choices. Where is Henry and his “Black, black or black” when I need him?? I hate to say it, but that’s one of the reasons I bought a Mac! I quickly got overwhelmed with all choices of laptops out there, so I bought one similar to what I use at work. (I was happy with the quality, usability, etc.) The smaller number of options made it an easier buy. Sometimes I have to remind myself to “think outside the box” and try something new — especially when it comes to clothing. I tend to stick to the colours and styles I know suit me and shop to address the gaps. If I go on a shopping trip with friends, I’m good at saying no for the first little while and then my resistance breaks down! This is a really interesting piece!! I’m going to share it because this, I think, would really make a lot of sense to fellow single moms. I’ve actually felt this before but never had a name for it. I just thought of it as the time of day I wanted to crawl under my desk and hide. Decision Fatigue sounds MUCH better and the fact you cure it with candy? Sign. Me. Up. I read the NYTimes article, too, and was interested to see that some of the examples were for high-ticket stuff like new car options. I feel that when we were house hunting we had some decision fatigue. We looked at so many and in the end we bought a house that did not include many of the items on our “want” list. I know that I was ready to say yes to anything my husband suggested. Now, it worked out fine, we still live in the house, but it wasn’t a wonderful experience. I wonder if it would have been easier now. We bought in pre-internet days and so couldn’t use the internet to do preliminary decision making. Or does the internet make decision fatigue more likely? I think the internet makes things easier if you set criteria ahead of time – price, features, area, square footage – and use MLS searches to test your criteria against reality. On the other hand, if you don’t have solid criteria the internet makes things worse by showing you more options. Can Holly (or someone) post the link to Sierra’s article on beauty/skin care? I must have missed it. Thanks! Thank you so much. This is a great community! I started the oil cleansing method too. Thursday night my MIL told me how wonderful my skin looked and asked what I was using. She never said that when I was getting monthly facials and spending ridiculous amounts of money on face cream! Awesome. Is this an excuse to eat a Snickers? Next time I am eating one, I can just say I am having decision fatigue. :) Maybe I am wired differently, but I never experienced decision fatigue. I create a list of things I need to do and just check them off. I think having a to-do list in front of you relieves you of making the decisions of what to tackle next; I know that’s the case for me. Also, I think the Snickers bar comment in the article is meant as a generic “insert-your-favorite-form-of-glucose” here one. Personally, it is a Snickers bar for me, and if my afternoon is frazzling, I really can make decisions better after that bar. The taste instantly triggers feel-good hormones for me that fruit doesn’t provide. To each their own. When I’ve been poor I’ve found that life is much simpler if I make blanket decisions so that I don’t have to make so many small ones. I just decide not to go shopping for *anything* except food. No bookstores, no clothing, no restaurants, no anything else. It’s also when I learned to avoid coupons and such because I’d have to make decisions whether to buy or not – I found I saved a lot more money if I wore metaphorical blinders at the grocery and just went straight for what I needed. Looking back I see that my actions were designed to minimize decision making (I called it keeping temptation at bay). My values said I had to live within my very limited means; if I had to reaffirm those values 85 times each day I know I would have overspent, because it’s easy to talk yourself into spending just *a little,* just *this once,* just to be sociable. All that said, I’ve mostly experienced decision fatigue while pruning fruit trees and vines – after a couple of hours it’s tough to decide what to cut and I’ve learned through some ugly looking trees that it’s better to stop and come back the next day. I have found this too. Take as many decisions out of my own hands as possible. If new clothes aren’t in my budget, stay out of the mall. It was a super breakthrough when I discovered how to go to Home Depot. (Stay with me here.) I realized one day that the reason Home Depot made me spacy, distracted and weepy was that I’d walk through the asiles looking at everything on the shelves, asking myself, “Do I need that? Do I need that? Do I need that?” Utterly exhausting. Then I learned – make a list before I go, and don’t look at any shelves; read the asile signs or ask an employee where to find what I need, look only at those items in order to find the thing I intend to buy, then go to the checkout (still with my mental “blinders” on) and people-watch if I have to wait in line. This technique has probably added years to my life, as well as saving me money. I will never learn where the mailboxes are at Home Depot this way, but I’ve decided I’m OK with that. If I need a mailbox, I’m sure the employees will tell me where to find them. I’m constantly telling people that I save the most money riding bus because I can’t just “stop here or there” on the way home. I might save $4-600/m just on car expenses, but not going to the bookstore? There’s another $100, and not picking up dinner on the way home? There’s a couple hundred more. Making ONE decision blanketed out thousands of other daily decisions, and my life is much simpler – and less expensive – now. I work at a bank. When I am helping somebody open a checking account or signing loan documents, I see a LOT of people with decision fatigue. I have so much information to present them that at the end they just shut down, and I know they aren’t really processing what I am trying to tell them. If possible I try to spread the decision making out over time so it isn’t so overwhelming all at once…people are much more receptive. YES! Perfect article for me right now. With a paper due, classes starting, and so forth, I have experienced this a lot and I can feel myself just putting a mental block to dealing with any of it (not a good thing). That takes away the “easy small stuff” and leaves the bigger things. At that point, you pick the one big thing that’s super important and focus on that, the rest will come but if you try to do too much, nothing happens. Snickers are great, but I think an apple (no pb, that takes too long), or some nuts (almonds are great) would be better since (At least for me), sugar makes me feel guilty and thus worse. That said, if you are AT THE BREAKING POINT – then go for the sugar or whatever your really special treat is, it might help bring you down to a manageable level. – I plan a week’s meals in advance (lunches and suppers). – I plan the next day’s eating the night before (lunch and supper already planned, but I add in breakfast and 2 snacks, trying to make the day balanced and nutritious). – I run 4 days a week and swim 2-3 days a week. I plan this in advance, based on what else I have scheduled that week. If I am not able to swim and/or run for whatever reason (injury, pool closed, etc.) I plan alternate forms of exercise. – I have certain personal clothing rules, some about what to wear where, others about (not) buying. Bras must have underwire. No capris to work. No sleeveless tops. No running shoes except when running. This eliminates more decisions. – I have a certain amount of money transferred to savings every payday. The decision was made once and it just happens automatically. If I had to make the decision to do it every payday, it might not always happen. This was a great article in the NYT . I’ve actually thought about it a lot this week…..and have been trying to save some energy for decision that I need to make later in the day. I wish I read your article before the NYT article because I like your condensed version and your examples of how to apply the theory to daily life. Thanks! When we were in Antarctica, we had a ‘rule’ that when something went wrong we’d pack up and go back to base and have some coffee before deciding what to do. 1) I love how Megan E. above sets up her clothes and food a week in advance. I would be interested in an article about the different routines people set up so they can avoid making the same small decisions over and over. 2) To the folks who say find fault with the candy bar fix – fresh fruit would never work for me. If I kept a banana or an apple in my car for these kinds of moments it would be a total rotten mess in a week. One Snickers bar isn’t going to kill anyone, seriously, and it will last much longer. A granola bar might be better (since it would be less melty in hot weather) but it is hardly any healthier unless you make it yourself (which would be more perishable). This reminds me of the Snickers slogan, Satisfied? It suits perfectly. We have decision making in pretty much every thing we do in our daily lives. What should I eat for breakfast, and what should I watch on tv? Very simple decisions can add to all the tougher decisions we have to face too. A snickers is really the perfect thing to choose for decision fatigue. I’m a compulsive eater so snacking is not for me, instead exercise helps me put things in perspective. After a walk around the block I often find that much of the stuff on my mind is noise, decisions that don’t matter at all. This allows me to focus on just what I need to do. endorphins = pleasure. they also blunt the mind a bit (hence meatheads). but a little endorphin goes a long way. 2 thumbs up on uncomplicating things. It talks about how having more options makes things harder, even though we think having more options will make things easier. I need to remember decision fatigue in my day to day life. Yes, I have, and in fact put a link to it in a reply upthread. Excellent book that talks a lot about how more choices = more effort required in decision making = quicker burn out of the ability to make a decision. I agree it is well worth the read. I learned through the years to ask for TIME. Especially if it involves something important, where another person wants an answer NOW. I then do some research and ask myself this question: What would be the worst case scenario if you did this (or bought this) and it didn’t work out? Usually, my answer becomes very clear. Enjoyable read. As the household’s money manager, I feel like I’m inundated with decisions constantly. Even entertainment choices are vetted through me. I find it unnerving to have to say “NO”, are you crazy!? – we cannot afford that” -especially to an adult that makes a healthy income. Now that we rely on one income, our budget is leaner exacerbating my decision fatigue. I don’t have any quick fixes, but part of my strategy includes is to have DH look at the budget so that he’s much more conscious of how tight things are, to be much more transparent about my stress level, try to exercise consistently. Part of the inherent problem is our different personality types. DH to escape from the drudgery that is work, bills, debt – likes to look at homes, consider concerts. I don’t enjoy doing stuff like that because I know we cannot afford to buy right now, or go to concerts, etc. Reading more and more PF material, has helped to realize being undercapitalized causes more stress and decision fatigue than necessary. Because we did not save adequately, we had to get a Goodyear credit card to get the brakes done on our vehicle. More debt. More payments. More stress. We had two and a half years with no repairs save standard oil changes, that was the prime opportunity to save. 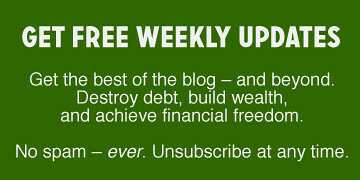 Debt creates this vicious cycle – moving you away from building wealth. I like snickers bars but tapping into a higher power might have a deeper and more lasting effect. It’s comforting to hear that so many really do acknowledge decision fatigue. If I have said it once, I’ve said a thousand times that I am too tired to decide what’s for dinner. Now I try to plan the day before and then I look forward to that meal all day while at work. If I have to make other decisions, a “power” nap or walk around the block usually does the trick and makes me a lot less irritable, too, while making the decision. I wanted to share an article relating to the point that decision fatigue is sometimes more prevalent in the poor. It examines why it is so difficult for people living with next to nothing to break out of that cycle, and provides an example of forced saving in a third world country and the effect it had on the people participating. Quite a fascinating read. I am feeling very overwhelmed with my responsibilities right now, so I have gone to a very simple weekday dinner menu that is reasonably healthy and easy to prepare. It’s highly repetitive, but everyone in the family will eat most of it and we can shake things up a bit on the weekends. Before implementing this, the temptation to get carry-out or fast food was near overwhelming. It’s nice to have something I don’t have to think about. Great post. I have long been fascinated by the line of research that explores the limitations of self-control. My favorite experiment is the one where participants who were asked to eat radishes instead of the chocolate chip cookies that were sitting in front of them later gave up more quickly on a set of mathematical problems. Exhausted by using up their self-control, they simply gave up! Now, whenever I am about to fall back to this pattern during any time of the day, I will tell myself to get a grip and THINK on the consequences that it will cause…..I must admit that I am not 100% “recovered” but I am getting better in avoiding such pitfall. Forewarned is Forearmed. Now I realize why my mother said “Don’t take decisions on empty stomach or be fresh when u take a decision”. Good tips for both financial and non-financial life. Yeah, I came across this concept in the EXCELLENT book Just One Thing. There is a chapter on psychology every investor needs to know, and this is one of the cornerstones. Also, willpower is a tool to use when needed, and is a replacement for habit or nature. By this I mean that if you consider yourself an ‘athlete’, you exercise because it is your nature and you have that habit. If you aren’t an ‘athlete’, you don’t have that habit, and you need willpower to make yourself work out. So I’m actually careful on what I ‘spend’ willpower on – mostly on habits I’m trying to develop and areas that could hurt me (finances, health)… And try to build areas that don’t need willpower so much anymore – don’t carry credit cards, etc. One other habit is to discuss with my wife any purchase over about $50. Not so much to get permission, but that justification sounds hollow in my ears too, so I usually talk myself out of bad purchases on my own. I was thrilled to see the times article, as it really confirmed and clarified what I’ve seen, particularly at work (troubleshooting is full of small decisions) and while shopping (it’s far more tiring when you cannot fall back on established decisions and habits). Knowing the problem also helps me understand why some habits are effective coping strategies. – Going shopping after a good leisurely breakfast is far more pleasant. (A traditional breakfast will keep you full of glucose for 2-3 hours). – Stopping for a sweet drink and a light meal after a couple of hours of shopping also makes shopping far more pleasant. – Established habits save you a lot of effort (For instance, if you almost always stop at a certain dollar limit, it’s hard to spend more than that). Luckily, there are some easily recognizable symptoms that we could use some glucose. Speaking of which, I could use a snack right now. Color me skeptical. Sounds like regular old fatigue crossed with low blood sugar. I have a harder time with decisions after I’ve been shopping because I’m TIRED and I just want to get out of there, not because I’ve used up my number of decisions for the day. Anything that simplifies and shortens is welcome such as lists, schedules, etc. I agree that making decisions can take mental energy, and the phenomena pointed out by the article make sense. But giving it come new label seems silly. Why not simply point out that we make worse decisions when we have low blood sugar or are simply generally hungry? And that’s worse when we’re tired. I can get into situations where I’m sick of making decisions, but they don’t usually seem to have a tie to my blood sugar. It’s more similar to the brain cramp I get after an intense study session. I think the concept of ‘decision fatigue’ simply muddies the water for completely understandable late in the day/situation bad decisions. Dan at Casual Kitchen just ran an excellent series on retail mind tricks, many of which rely on decision fatigue. Which I think really is a separate phenomenon from simple physical fatigue and certainly different from low blood sugar. Being aware of the potential for decision fatigue and planning ahead with list-making, schedules, and escape hatches can go a long way to avoiding costly choices made just to get done with something. And in the case that a list, a schedule, and an escape hatch all fail and the negotiation or search has exceeded one’s mental limits, I see nothing wrong with taking the glucose shot of choice to bring some brain cells back online.